This gives a basic, fluid interface for rolling dice from the D20 system - commonly known to work with Dungeons and Dragons. 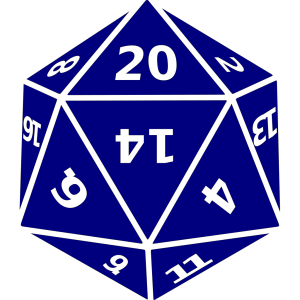 Die included are d2, d3, d4, d6, d8, d10, d12, d20, Percentile (d100), and custom die rolls. This provides the Ninject module loader for the RollGen package.